A federal lawsuit carries a warning about fire sprinkler systems that may not work when needed. 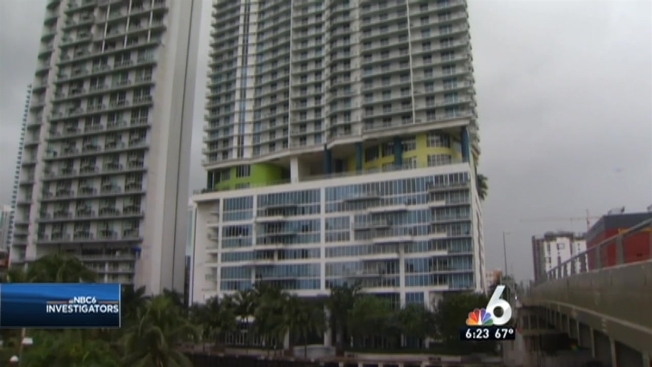 Owners in two downtown Miami condo buildings claim the CPVC pipes in the fire sprinkler system are failing. "We have been experiencing issues with our fire sprinkler piping system throughout the entire building," said Charisse Williams, property manager at Latitude on the River. She says there have been leaks in the ceiling causing damage and flooding, but owners are concerned about what would happen in case of fire. "We're talking about something that can affect the life safety of an occupant--of any resident in the building should there be an emergency and and should our fire sprinkler system not respond in the manner that it needs to," Williams said. Latitude and Wind Condominium owners hired Coral Gables attorney Ervin Gonzalez with Colson, Hicks, Eidson. "When there's a fire you need that system to work and to be properly pressurized," said Gonzalez. "You can''t play games with fire safety." The lawsuit alleges the "fire suppression systems have failed" and "...may allow fires to burn out of control and endanger the lives of thousands of people and property." Gonzalez says the CVPC plastic piping overhead fails when it comes in contact with the metal pipes that carry water to each floor of the downtown high rises. He's suing more than a dozen companies involved in making the sprinkler systems. "The maker of the resin knew that the resin would fail when it came into contact with the building materials," Gonzalez said. Those companies have not responded to the lawsuit. The Plastic Pipe and Fittings Association represents companies like those named in the lawsuit. The association did not respond directly to the lawsuit but on its website calls CVPC cost-effective and says systems using CVPC piping have been installed and operated since 1959 and initial installations are still performing faultlessly. Still Gonzalez believes the two condo buildings in the lawsuit are just the beginning. He calls what is happening a "national cover-up over a significant life safety issue." It could cost Latitude on the River $50 million to replace the sprinkler system. A problem Gonzalez believes could be repeated in buildings throughout Florida and the country especially those built between 2004-2012.